Old Testament - Interesting readings in Second Samuel today! The dynamics between Ahithophel's advice and Hushai's advice is fascinating. Hushai plays smartly to Absalom's ego and insecurity with the advice he gives. Ahithophel seems to realize that he's lost his status in Absalom's kingdom - and I wonder if maybe perhaps Ahithophel realized this kingdom of Absalom's would soon fall? And thus decided to kill himself? It was probably more of an ego / pride / status thing though that played into Ahithophel's tragic decision. Ahithophel, a betrayer of David, ended up taking his life in the same manner Judas, the betrayer of Jesus, does. (Not to be morbid here, but just fyi that there are 7 suicides documented in the Bible - you can view this list of 7 on bible.org at this link.) 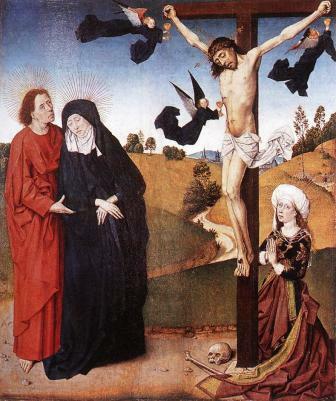 It does make me very sad to read about suicide, even in the case of Ahithophel or Judas. I know obviously suicide happens still in our world today at alarming rates, which makes me incredibly sad. I just feel like all of us can have some serious down times in our life and maybe sometimes feel like just giving it up completely. I pray that if ever we really do get that down in our life, that we always remember there is redemption. There is hope. There is love. There is forgiveness. There is Jesus. No matter what we've done or what we've failed to do, let us not every give up on the everlasting hope that is Jesus in our lives. 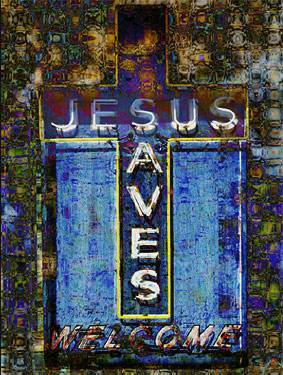 Jesus saves. Jesus even saves us from ourselves. 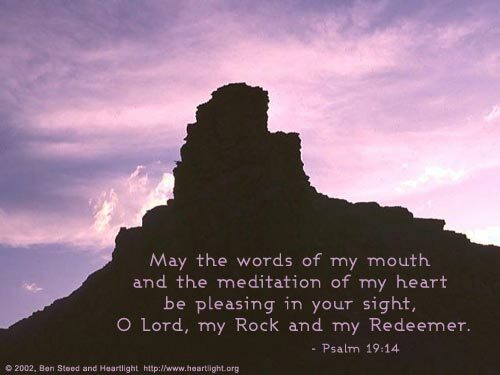 Psalms - Psalm 119 is continuing with its amazing verses about God's holy Word, the Bible, and how it can transform our lives. Verse 138 is just one more small example from this incredible Psalm - "Your decrees are perfect; they are entirely worthy of our trust." Do you believe that God's Word, the Bible, is perfect? Is it entirely worthy of our trust? Would you consider the Bible to be a perfect book of counsel for your life? I love verse 130, which I used to have at the top of this blog in the NIV translation: "The unfolding of your words gives light..." Do you believe this is true? 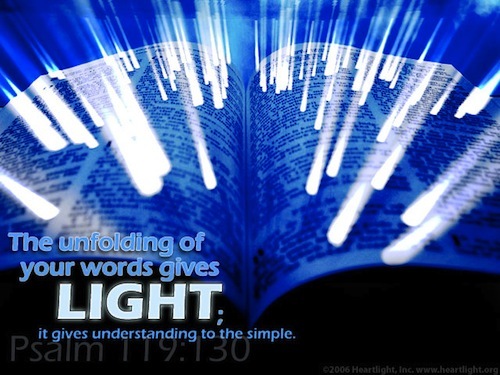 Does reading God's Word, the Bible, bring light into your life? If you did not read God's Word would you be in darkness? Proverbs - Proverbs 16:13 today teaches us: "The king is pleased with righteous lips; he loves those who speak honestly." This Proverb reminds me of a worship song we sing in my church on occasion that goes: "May the words of my mouth and the meditation of my heart be pleasing in your sight." Which, now that I type this I realize is Psalm 19:14. How are the words of your mouth these days? Are your lips righteous? Is speaking honestly pleasing to your King? Today, who is your King? Is your king yourself? Is your king Jesus? YouTube - Today's readings in Psalm 119 reminded me of Donnie McClurkin's song "Holy Holy Holy:"
Do you want to be holy? Click here for Holiness! Prayer Point: Pray that you will unfold, or read & study, God's Word every day of your life. Pray that you will gain understanding and wisdom from your daily study of God's Word. Pray that you will teach others God's Word. 1) [an aside] When Jesus said, "My God, my God, why have you forsaken me?" it is the only time Jesus did not refer to God as the "Father". 3) It is finished - Gk. "tetelestai". In Greek it is what was stamped on business document when "paynment in full" is received. Also stamped on person's document when leaving prison. I have looked this up enough to know it is true - so I am pasting something from an apologetic site. Being king of the Jews was not the crime Jesus paid for, however. Hidden to all but the Father was another certificate nailed to that cross. In the darkness that shrouded Calvary from the sixth to the ninth hour, a divine transaction took place; Jesus made a trade with the Father. The full weight of all the crimes of all of humanity-every murder, every theft, every lustful glance; every hidden act of vice, every modest moment of pride, and every monstrous deed of evil; every crime of every man who ever lived-these Jesus took upon Himself as if guilty of all. At the last, it was not the cross that took Jesus' life. 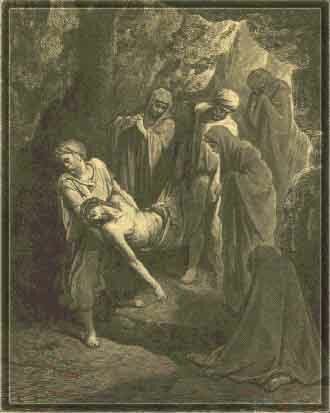 He did not die of exposure, or loss of blood, or asphyxiation. When the full debt for our sin was paid, and the justice of God was fully satisfied, Jesus simply gave up His spirit with a single Greek word that fell from His lips: “Tetelestai.” “It is finished.” The divine transaction is complete. The debt was cancelled. (Colossians 2:13-14)"
All one needs now is to believe IN Him. 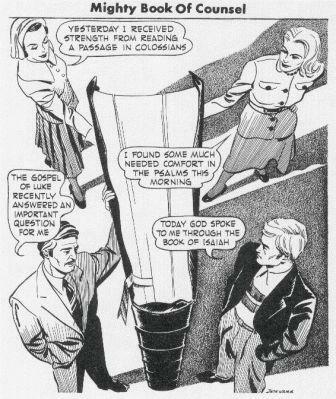 "And again another scripture saith, They shall look on him whom they pierced." This will be in the future - "on that day" refers to Christ's second coming. One reason why I believe in prophecy - the nation of Israel (what's left of it) in the end will come to Christ. BTW in the Hebrew text there is a two letter word following Zech 12:10's "look on me" - the word is two letters - "aleph" and "tau". The first and last letters of Hebrew Alphabet. "By the way, there are two un-translated letters in the Hebrew text following the phrase "look upon me" in Zechariah 12:10.....The same two un-translated letters appear in the Hebrew text of Genesis 1:1 following the phrase "In the beginning God …"." "The man who saw it has given testimony, and his testimony is true. He knows that he tells the truth, and he testifies so that you also may believe."